I started thinking about the 1996 World Series team again tonight. I do that about 700 times a week. I started with Jim Leyritz and Andy Pettitte, then moved on to John Wetteland and Bernie Williams and Mariano. I even popped in the DVDs of game four of the Series and watched Graeme Lloyd's heroics against Atlanta and Mariano Duncan's hit in game three of the Division Series against Texas before I even got around to remembering one of the forgotten heroes that year: Jimmy Key. The left-hander had one of his worst regular seasons in '96, but the post-season was a different story. He allowed four earned runs in six innings in a game two we had no chance of winning because Greg Maddux was his usual ridiculous/nerdy self (8 IP, 6 H, 0 R). But Key was the winning pitcher in game six, the greatest night of my life, and he also pitched eight fantastic innings and was the winner in a very important game three of the ALCS against Baltimore, or what I like to call The Todd Zeile Game. Overall, Key's four-year career in the Bronx was quite good. He would've been the winning pitcher in the clinching game four of the 1994 World Series against Montreal, but that series never happened. 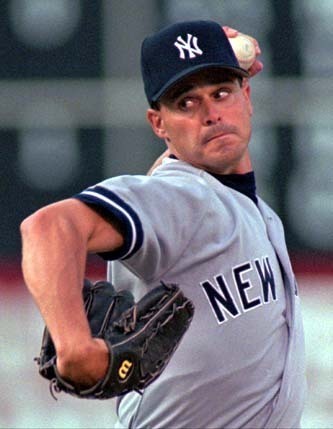 In 1993 he had a 3.00 ERA and a 1.10 WHIP for a Yankees team that hung around until the final two weeks in the East race with eventual two-time world champion Toronto. Most importantly, he made us forget about Scott Kamieniecki. Anyway, with all the 1996 reminiscing, and the re-realization (not a word) that Key was one of the main cogs in the Yanks resurgence in the mid-1990s as a playoff mainstay, I decided to spend 45 minutes at baseball reference and look at the southpaw's career numbers. 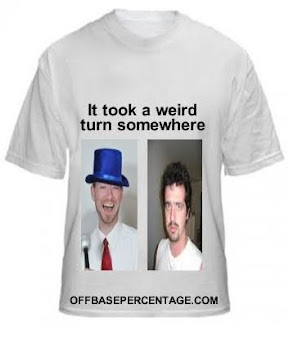 I came up with one irrefutable fact: he was no Dave Lapoint. * In 1987, one of the biggest offensive seasons of the post-mound lowering era, Key led the AL in ERA (2.76), WHIP (1.05) and ERA+ (164). * He had a three-year stretch from 1988-1991 where he walked 123 batters in 711 1/3 innings pitched, which is close to a walk every six innings. * In the 1992 World Series win against Atlanta, Key gave the Jays a 3-1 series lead with a 7 2/3 IP, 5 H, 1 ER, 6 K, 0 BB line in game four, then won the clinching game six with 1 1/3 innings of one-unearned run ball. * During the '96 run, earned the nickname "Jimmy Lock and Key" from my mother. This was the same woman that coined the nickname "Roberto Kelly Terrible and Without Plate Discipline". Key's career statistics - 186-117, 3.51 ERA, 1.22 WHIP, 122 ERA+, 45.7 WAR in 15 seasons - are very good. For me, and millions of other Yankees fans, we'll remember the lefty as a guy who just shut the hell up and pitched. Sometimes it went well, sometimes it went Jeff Weaver. But it almost never went Dave Lapoint.